If you have a child a similar age to Izzie (7 going on 17 sometimes) you will probably have heard of NumNoms. If you haven’t, you must have been living under a rock! Izzie is a big fan of any toy that you can collect. She regularly finds a new collection and manages to con my mum into buying her new ones on her weekly shop – the benefits of being the first born grandchild obviously. Lately NumNoms have been the favourite and I can see why. They are collectible, cute and smell lovely. Izzie has also been loving the ones that come with lipgloss and nail varnish. Lord help us when she is a teenager – we will probably have to take out shares in a drug store. 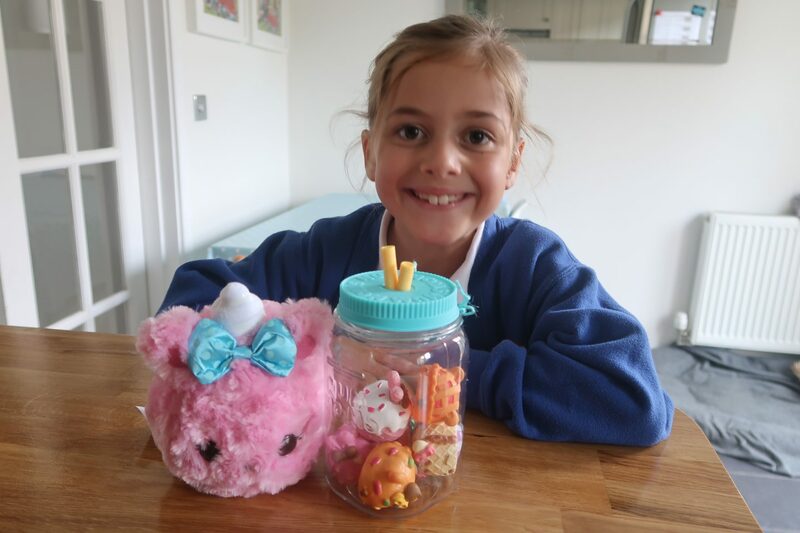 Izzie was so excited to receive one of the brand new NumNoms Surprise in a jar, which is part of the series 4 collection. Along with little collectibles she is also a huge fan of anything in the cuddly toy family. 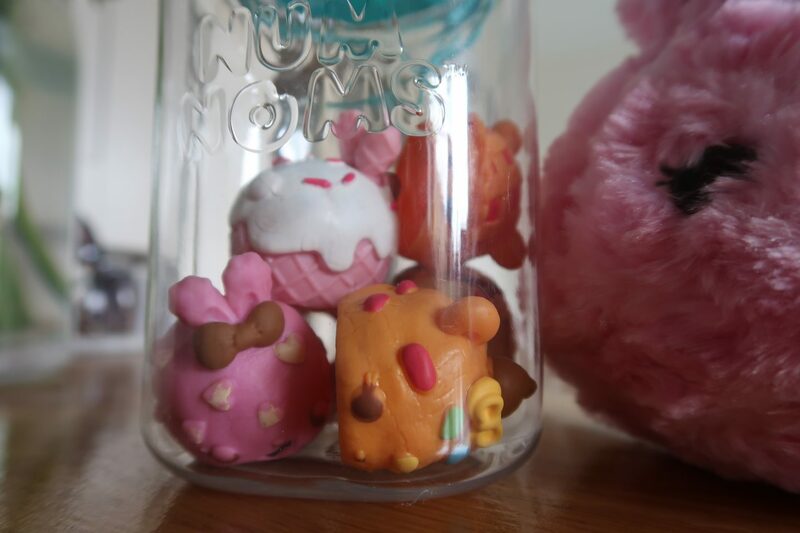 Like their small counterparts, the Num Noms Surprise in a jar come in several collectible styles and smells. 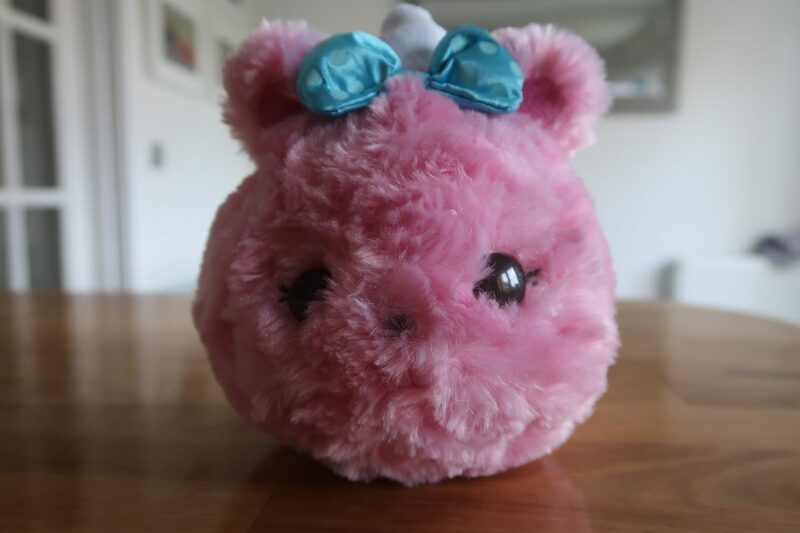 Izzie received a pink candy floss scented one called Pinky Puffs – she’s such a girlie girl and so she was over the moon. It comes in a cute plastic jar which looks like a mason jar that you would maybe get a milkshake in in a nice cafe. She was really excited to use the jar to store her other NumNoms in. One bug bear I have about all the little collectibles she has is storing them, but this jar is perfect for just that. It would also come in super handy for some of the other random things that Izzie collected too, like shells, pebbles or even hair ties and slides. 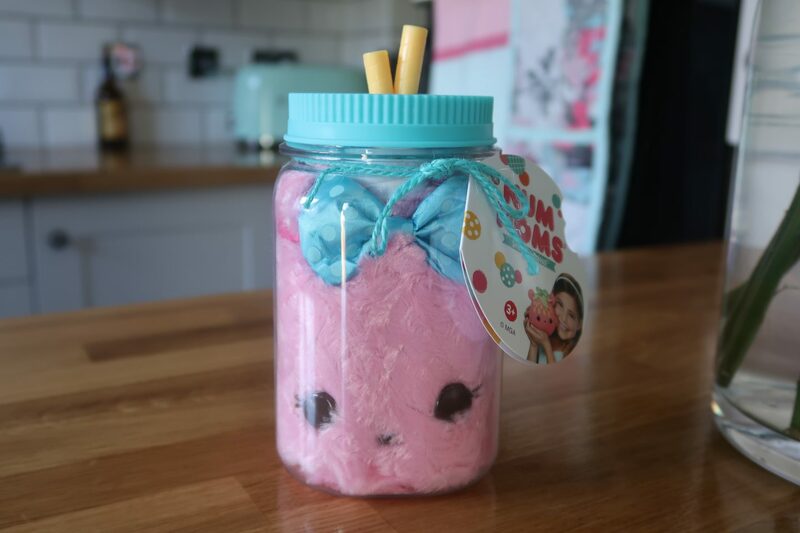 Izzie has already got onto my mum about getting her another NumNoms Surprise in a jar for Christmas – she wastes no time – but this is a good thing because I expect these will be hugely popular. 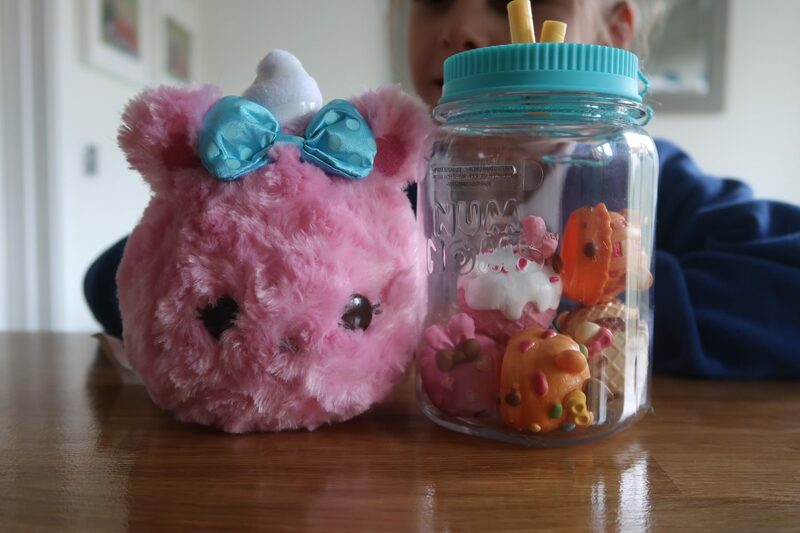 Disclaimer: We were kindly sent the Num Noms Surprise in a Jar in exchange for an honest review, but all opinions and photographs are as always, my own. 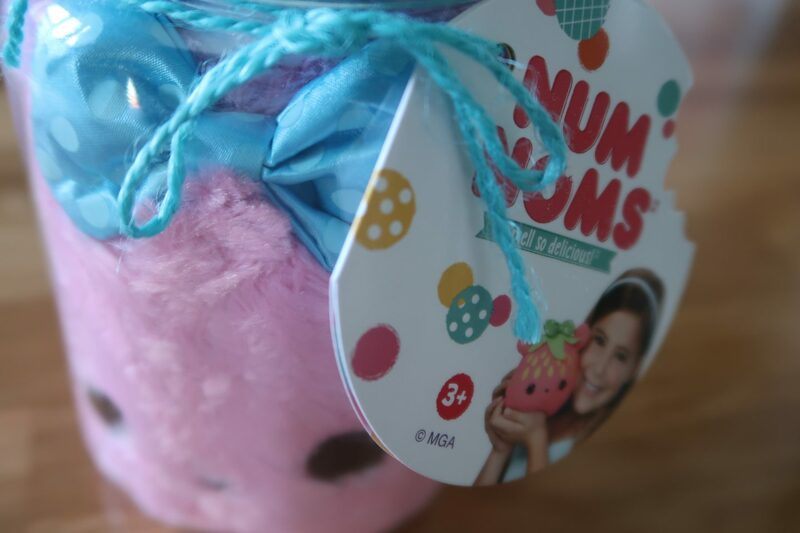 NumNoms Surprise in a jar are available at all good toy stockists.